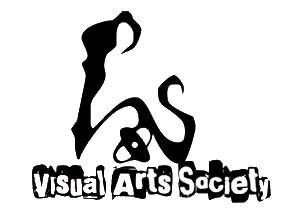 You are really interested in what the VAS does, and want to contribute to our society in a big way. You want to stand at the forefront of the VAS’s future endeavours. You believe you have what it takes to get the job done and help lead the club onto new and exciting paths in the field of the Media Arts. Then you’ll want to join the VAS’s Main Committee! For all you aspiring Maincommers out there, the first step to become one is to go through our Main Committee Recruitment Interviews, held on the 16th and 17th of September (Thurs & Fri), 7pm to 10pm at TR 10 . Come down on either of these days, and we’ll see if you have what it takes to accept a maincomm position. Even freshmen are welcome to apply! If you find that those timings are not agreeable with you, send us an e-mail and we’ll try to make alternative arrangements! Successful candidates who clear the Interview stage will go up for campaigning and election during our Annual General Meeting on the 22nd of September. More information on the different portfolios can be found on our About Us page. If you have any questions about the different positions and portfolios, do feel free to drop us an E-mail.